Polarizing beam splitters are optical devices used to split a single light beam into two beams of varying linear polarizations. These devices are useful for splitting high-intensity light beams like lasers as, unlike absorptive polarizers, they do not absorb or dissipate the energy of the rejected polarization state. 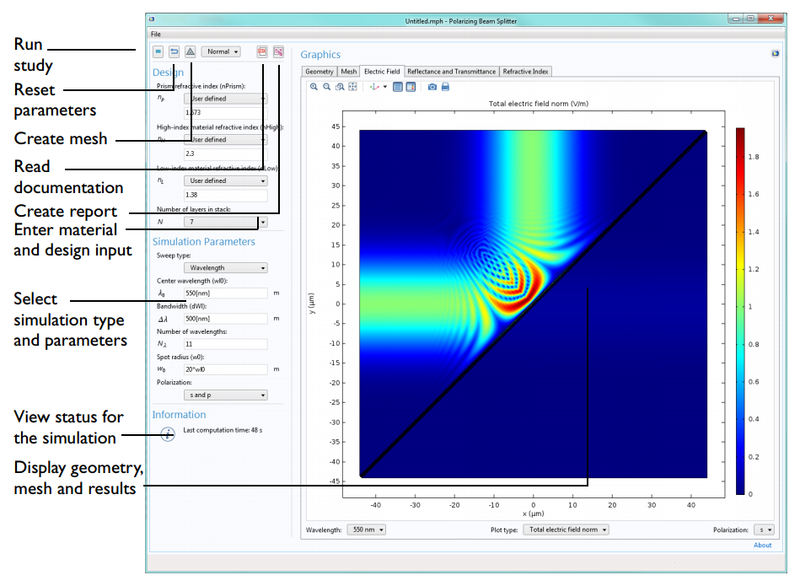 See why creating a numerical modeling app offers a more efficient approach to analyzing and optimizing the design of these devices. When it comes to the design of a polarizing beam splitter, the most common configuration comes in the form of a cube. This cube design is valued as a viable alternative to the plate design for many reasons. Because there is only one reflecting surface in the cube configuration, it avoids producing ghost images. Further, as compared to the input beam, the translation of the transmitted output beam is quite small, which simplifies the process of aligning optical systems. Let’s take a closer look at such a design. Polarizing beam splitter cubes are comprised of two prisms positioned at right angles. One of these prisms includes a dielectric coating evaporated on the intermediate hypotenuse surface. When a light wave enters the cube, the coating transmits the portion of the incident wave with the electric field that is polarized in the plane of incidence and reflects the portion of the incident wave with the electric field that is orthogonal to the plane of incidence. 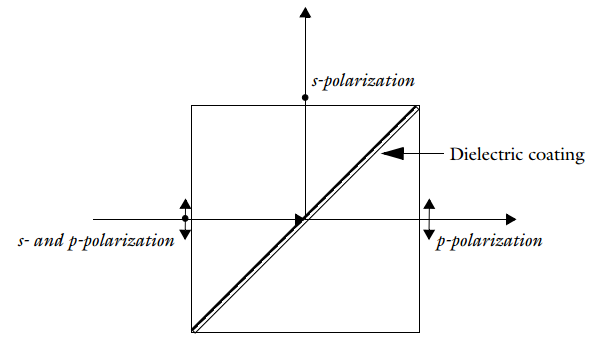 These parts of the incident wave are represented by p-polarization and s-polarization, respectively, in the schematic shown below. Polarizing beam splitter cube schematic. Polarizing beam splitter devices such as this are useful for broadband or tunable sources as well as selected laser lines, since the dielectric coating can be designed as either spectrally broadband or narrowband. Additionally, these coatings can be tailored for use in high-power laser applications that feature very large damage thresholds. To ensure that these devices perform properly within their respective system, it is important to study their design and make modifications as needed to achieve optimal performance. Numerical modeling apps, as we’ll highlight here, help to make this process much more efficient. The basis of our Polarizing Beam Splitter app is the simple MacNeille design. In this configuration, there are a pair of layers that feature a consecutively high and low refractive index. The light waves interact with the layer boundary at the Brewster angle, thus reflecting the s-polarization and transmitting the p-polarization at every internal layer boundary. 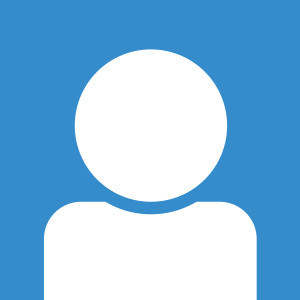 Now that we’ve reviewed the underlying design, let’s take a look at our app’s user interface (UI). Note that when creating your own apps, it is up to you to decide on its layout and structure, including the parameters that are made available for modification. This example, and the others that we share within our Application Gallery, are designed to serve as both a source of inspiration and guidance within your own app-building processes. The Polarizing Beam Splitter app’s UI. In the app’s Design section, users can enter their own refractive indices for the prisms as well as the layers within the dielectric stack or select a material from the available list of options. Here, they can also define the number of layers within the dielectric stack. Selecting the Sweep type, either Wavelength or Spot radius, is possible via the Simulation Parameters section. For each of these sweep types, users have the option to choose the polarization for the simulation that will be performed. Moving over to the Graphics window, you will notice a series of displayed tabs. The Geometry and Mesh tabs display the current geometry and mesh, respectively. When a solution does exist, the Electric Field tab shows the following for a specific Wavelength or Spot radius and Polarization: the norm of the electric field, the first wave’s electric field, or the second wave’s electric field. The Reflectance and Transmittance tab, meanwhile, highlights the reflectance and transmittance of the polarizations of the performed simulation. Lastly, there is the Refractive Index tab. In the case of a Wavelength sweep, this tab shows either the refractive index as compared to each material’s wavelength or the spatial refractive index profile across a cut-line over the prisms and the dielectric stack. In the case of a Spot radius sweep, only a spatial refractive index profile is shown. After obtaining their simulation findings, users can choose to create a customized report via the Report button. This will generate a Microsoft® Word® report that contains the respective input data and results from their analyses. They can use this report to communicate their results to others in a clear, simplified format. Every design workflow encounters its own set of challenges. With their customization capabilities and ease of use, numerical modeling apps serve as a powerful tool for meeting the specific needs of individuals and organizations, all while balancing efficiency with accuracy. Our Polarizer Beam Splitter app is just one example of how you can use the Application Builder to create an easy-to-use tool to advance simulation analyses. We encourage you to start building apps of your own and experience the many benefits that come with deploying them to others.